House of Nosferatu is an environment of Victorian horror - the lair of the infamous vampire breed known as Nosferatu. 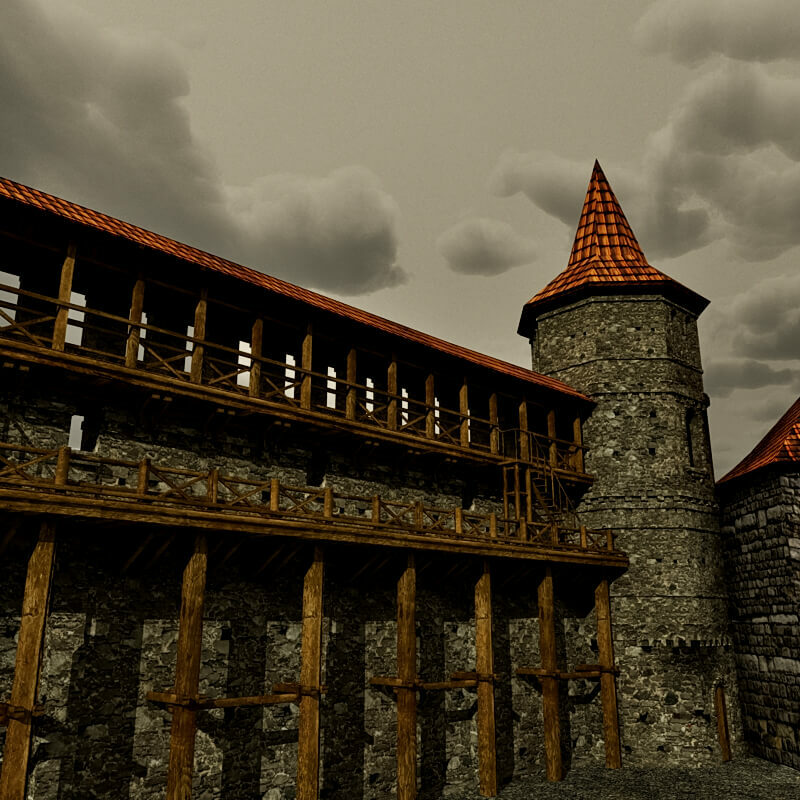 House of Nosferatu Castle Kit is a complete kit for creating your own castle of horror. 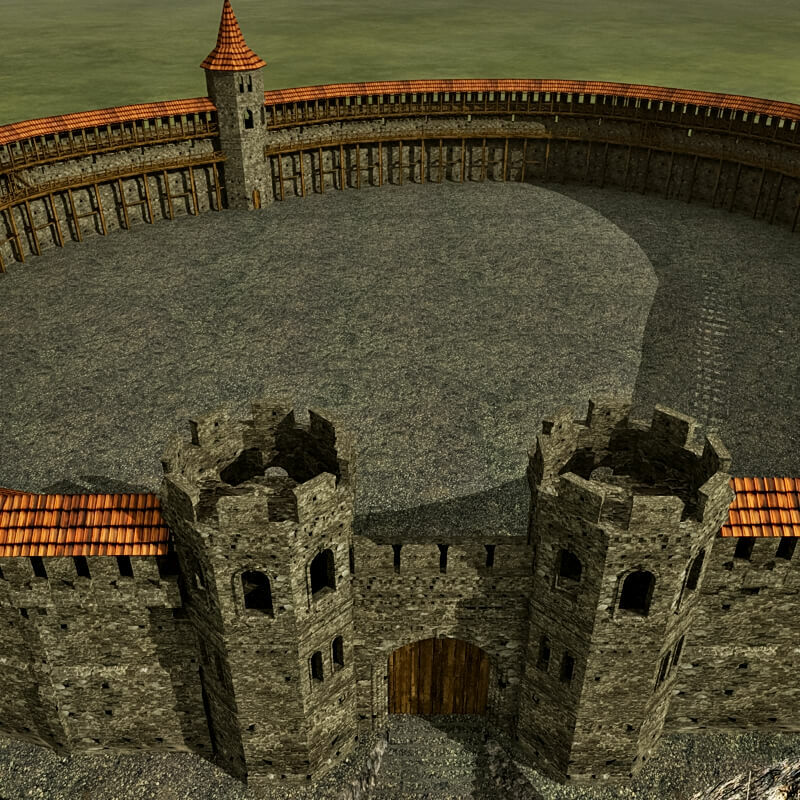 It includes two types of walls, towers and more. Also included is a complete, multi-level castle atop an ancient peak of stone. Three full levels, including a spacious outer area that you can fill with buildings! Towers, walkways, buildings - they are complete, inside and out. House of Nosferatu Volume 1 R2 is a complete environment for creating vampire and horror artwork. 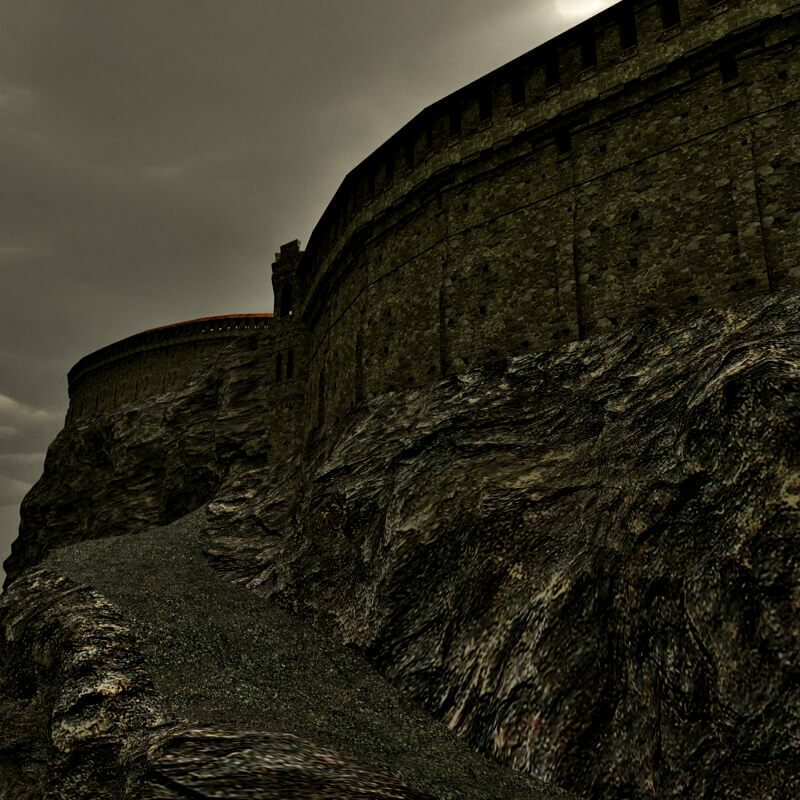 A dark a brooding castle awaits, complete inside and out. This bundle set is massive - create your next horror classic story or animated film on a location more complete than any location shown in Hammer Film! 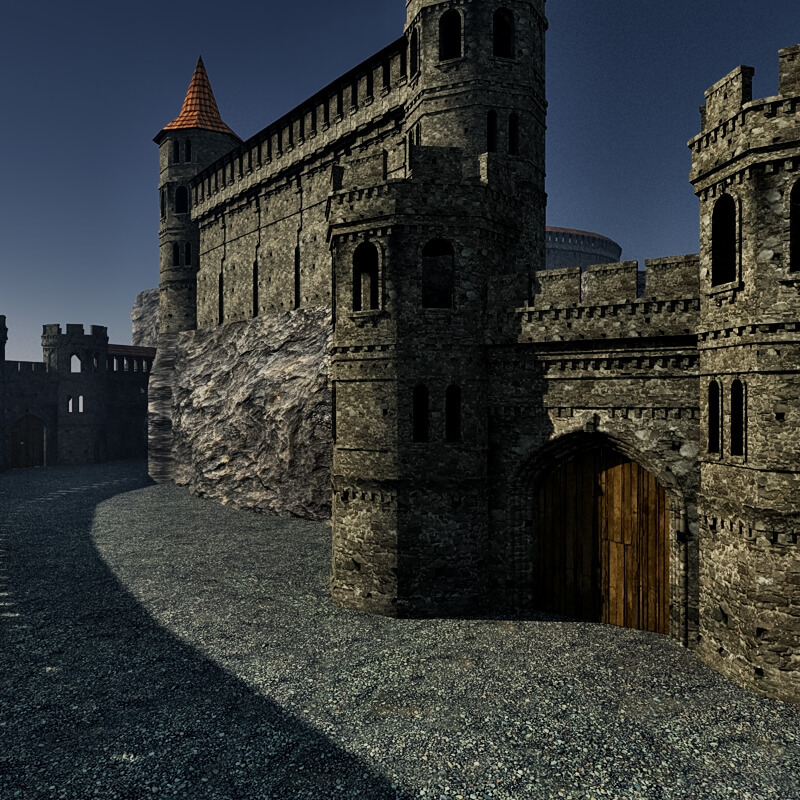 Start with the Castle Kit, and then fill in all the details of the location with each additional model, including new buildings and interors. This R2 version includes all R2 updates you expect, including larger, higher quality texture maps and bump maps. This set is compatible with Poser 8 or higher or DAZ Studio 4.5 or higher. This set is compatible with Blender 2.7.5 or higher. Meshbox Design is the premier provider of 3D models, buildings and environments for the open source Blender 3D modeling platform. Shade 3D is the powerful 3D modeling, rendering and animation software. Use Shade all by itself, or use it in conjunction with Poser via PoserFusion, built right into Shade. Meshbox is the largest provider of Shade compatible models. This set is compatible with Bryce 7 and higher.